Hygge is a Danish word used to describe a feeling or moment of coziness. As a foreigner, especially an American, coming to Denmark this is an intriguing concept. Having exploded in popularity around the world, the concept of hygge is even more intriguing in the vagueness it carries as there is no word like it in English. As an interior designer, I wanted to figure out what goes into designing a space that could be described as hyggeligt. Danish homes are the best place to study what it takes to create the feeling of hygge. Danes take an immense pride in creating a comfortable environment in which to spend time with friends and family. Hygge is created to try and survive the boredom, dark, cold, and sameness that can overwhelm Danes lives, especially in the winter months, with the indefinable feeling of Hygge. Incorporated into daily life, Hygge seems to be a series of simple rituals such as brewing a cup of coffee every evening to buying fresh flowers each week, or even the small act of lighting candles to fill the room with a soft glow. These small tasks are so closely integrated into the domestic and personal lives of Danes that it has almost become and art form to create the perfect sense of Hygge. This tradition is a natural extension, rather than a forced event. Overall hygge is simply about being aware. About slowing down and enjoying a good moment. For Americans, slowing down can be a challenge but adopting the small daily rituals and incorporating the design elements of hygge into their home is something easily achievable. While one cannot simply purchase a ‘hygge living room’, one can look at what design elements assist in creating the feeling and try to incorporate them into their home. 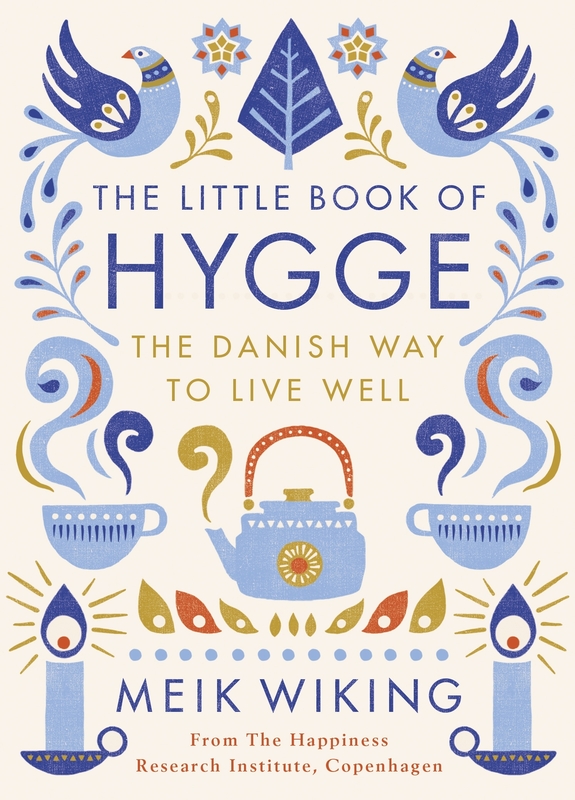 Part of what makes hygge so intriguing is that it isn’t an item or thing. Instead it is an experience. This post depicts what I, as an American foreigner, connect with creating the unique experience in Danish homes that can only be described as Hygge. Lighting is an important factor in creating a comfortable, inviting space. In Danish homes proper lighting is achieved in unique ways in comparison to America. The three main ways hygge is achieved through lighting are through the use of windows, preference of table and floor lamps rather than overhead lamps, and the use of candles. Large windows allow as much natural light to come into a space as possible. When paired with white walls and white table tops the light is able to reflect around the room, making the space feel lighter. Which is especially important in the winter months. Danes seem to favor the abundant use of table and floor lamps. While overhead lights are used in spaces such as kitchens and bathroom, where they fulfill utilitarian needs, in spaces such as living rooms and bedrooms they are almost absent. Instead thoughtful placed lamps are located around the room. Often these lamps are those of famous designers. 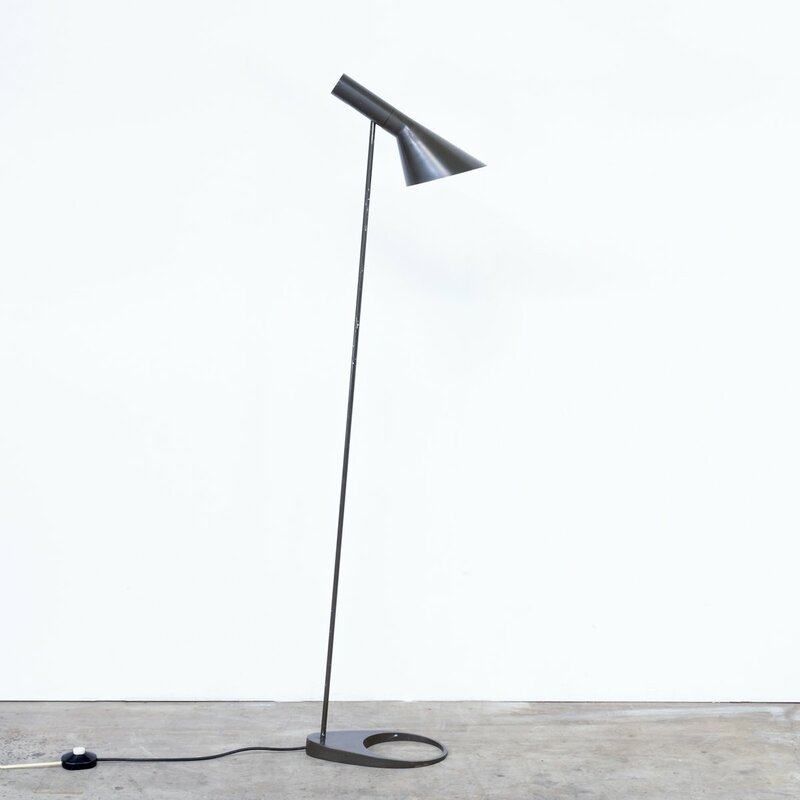 This preference for table and floor lamps allow the space to be filled with a softer, cozier light. These lights are also more easily adjustable to provide the user with the preferred type of light. Lastly, a unique type of lighting is brought into the space through candles. Placed throughout the home, especially in the dining room and living room, candles bring a soft flickering light to the space that provides ambient movement and light. Whenever friends and family are gathered for a dinner party or special occasion it is almost certain that candles will be present. Danes take an immense pride in creating a comfortable environment in which to spend time with friends and family. Art is featured in every Danish home, as it is around the world, but Danes have a unique way of showcasing it. Denmark is famous for their designers. Their talent for capturing and showcasing the beauty of simple forms make them popular throughout the world. Whether it be a Hans J Wegner chair or an Arne Jacobsen light fixture, you will find them proudly shown in Danish homes. What makes these designs add a sense of hygge to a space is that fact that they are usable art. 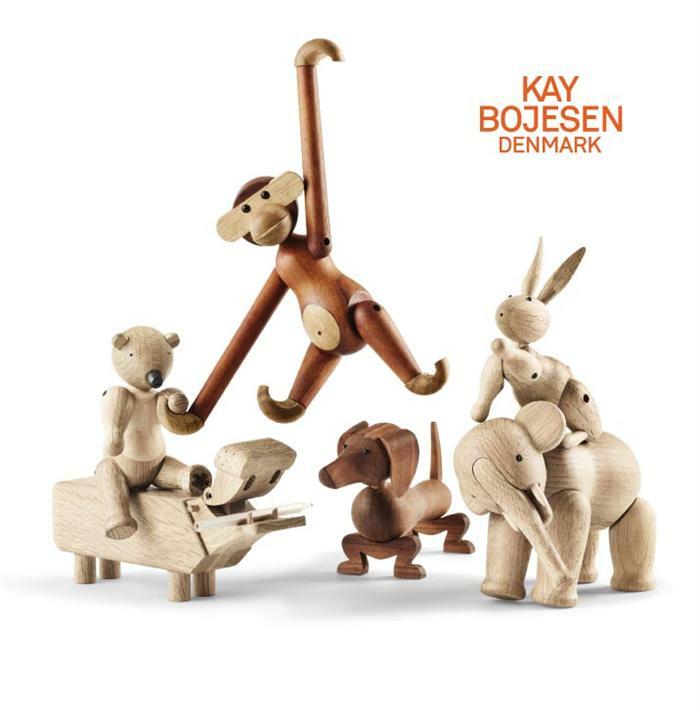 For example, the famous Kay Bojesen wooden toys can be found in the homes of those with and without children. These toys are so beautifully made that they become sculptures when placed on display. Designs such as these provide the Danes with a practical approach to decorating their home. Plus there is a quiet pride taken in knowing these are made by Danish designers creates the feeling of hygge in the space. Coziness and comfort are key factors in creating a feeling of hygge. Danes achieve this coziness in their spaces in a variety of ways including comfortable seating, oversized pillows, and use of blankets in public spaces. A chair designed by a famous Danish designer can be found in every home due to their ability to provide the user with a comfortable, ergonomic seat in which to enjoy a warm cup of coffee. There is one chair in particular that I have seen in almost every Danish home I have visited. That chair is the Eames DSW Stol. 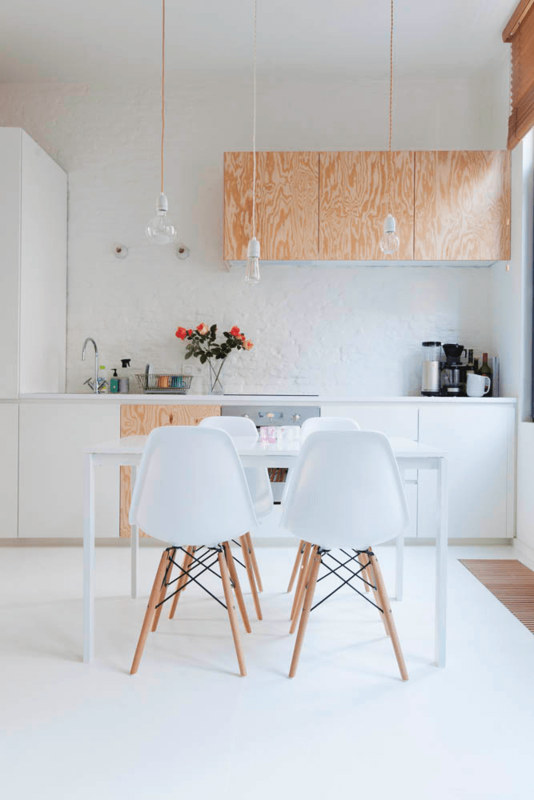 This simple white dining chair seems to be a Danish staple. It’s simple form creates a comfortable seat that can go with any interior. In order to personalize and add more comfort, various seat cushion can be added. Either way this chair is guaranteed to provide a comfortable seat, pushing the space towards hyggeligt environment. One popular trend that can be seen in the effort to achieve a sense of hygge is the use of oversized, velvet pillows. Not only are these pillows comfortable to lay against, they also provide the unique tactile experience that velvet provides. These pillows also are able to come in a deep range of hues that add color into the space. Lastly, the creation of a hyggeligt environment isn’t limited to the home. Danes also want to achieve the experience in the public space. Specifically restaurants and cafes. They are able to do this in a simple way; blankets. Due to Denmark’s location near the sea and in Scandinavia the weather is often chilly. Restaurants and cafes with outdoor seating.